Rick Goldstein has been deeply involved in the low-income housing tax credit since its enactment in 1986 and is a national authority on that program. Rick represents syndicators, investors, developers and other participants in transactions involving the housing tax credit. 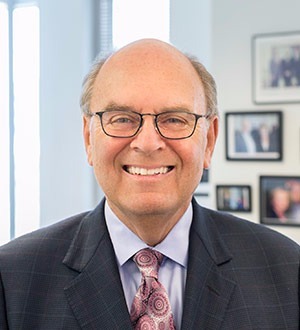 His leadership in the affordable housing industry was recently recognized by Affordable Housing Finance Magazine, which named Rick to its Affordable Housing Hall of Fame in 2014. Rick focuses his practice in two areas: transactions and public policy, both with the low-income housing tax credit in common. This unique combination has direct benefits to the firm’s clients. Rick can counsel clients on detailed and complex transactional matters, and can also advise them on how public policy affects current and future business matters. On the transactional side, I have been representing syndicators, investors and developers in housing tax credit deals since 1987, including acquisitions of project partnerships, dispositions and “upper tier work.” With my breadth of experience, I generally focus on more complex transactions. For example, I recently closed two master lease transactions allowing for separate ownership of market rate and low-income units on behalf of PNC Bank. Representing City Real Estate Advisors, I recently closed an urban new construction transaction and a rural rehabilitation deal, each of which involved complex business and tax issues. My lobbying involves representing the Affordable Housing Tax Credit Coalition, a major Washington, DC, trade association in the housing credit industry. My transactional experience gives me exceptional credibility in advocating for the housing tax credit from the perspective of a professional in the field. I have developed deep relationships with a number of members of Congress, including those in leadership positions.